Boven Slinge is a small brook in the eastern part of the Netherlands that flows through an agricultural landscape and forestry areas. The brook was managed using technology, and was equipped with two weirs to control water levels. This resulted in poor-quality river banks, completely altered flow conditions (often with no flow in summer), insufficient water quality and no migration options for water fauna. 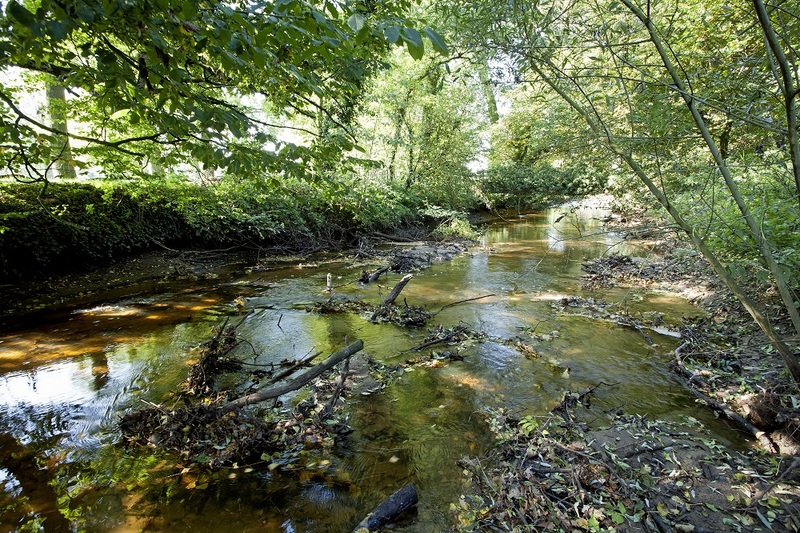 To tackle these problems, the water authority, the Gelderland regional authority and the private landowner, decided to reconstruct the waterway to recreate a more dynamic brook system. Two small weirs were removed, the river banks were redeveloped, old brook meanders were reconnected, and new forest was planted. To prevent excessive erosion of brook soil, gravel and pebble riffles were introduced. To evaluate the effect on the fish populations, 4 transects of 250m were monitored using electrofishing, with the same method used at the same time of year. The number of species present increased, on average, by 30% and the number of individuals increased by 148%. New species identified were eel, ten-spined stickleback, Gibel carp, dace, brook lamprey, brown troutand stone loach (source: Rijn en IJssel Water Authority). It is clear that the fish population directly responded to the improved hydrological conditions. Flow velocities during the summer are critical for rheophilic fish species. Flow velocities were measured in a period of low water levels with a base flow before and after removal. Natural flow velocity significantly increased throughout the entire redeveloped area of brook from 0 – 0.1 to 0.20 – 0.25 m/sec (see map). The flow velocities are very low as it is a small brook system, but the 100 – 250% increase in flow velocity and the fish fauna’s response is impressive. It is an example of the difference a small improvement can make. Figure: The flow velocities in Boven Slinge brook before (left) and after removal (right) (source: Rijn en Ijssel Water Authority, 2016). The variation in structure was assessed before and after removal. Before removal, the main structures present were sand and underwater vegetation. After removal, the variation in structures was much greater, with sand, large and small pebbles, riffles and dead wood. 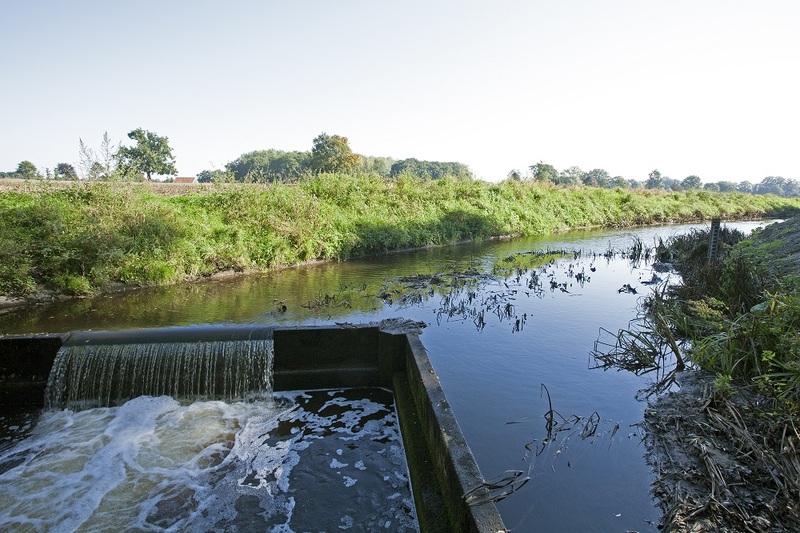 When dams or weirs are removed, the average brook water level is lowered. The effects on groundwater in the surrounding area were monitored, as this has implications for land use and the natural environment of the surrounding area. Removal of weirs and redevelopment of the brook system did lead to a lower groundwater level, however this change was modest. At 100 m from the brook, the groundwater level was 25 cm lower over the summer. For the remainder of the year the effects were smaller.